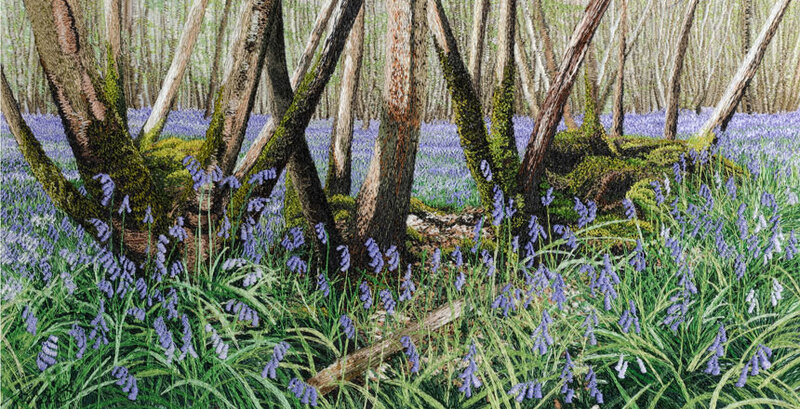 Alison Holt, a UK contemporary textile artist with a Fine Art Embroidery BA Hons degree from Goldsmiths College, London, specialising in freehand machine embroidery. 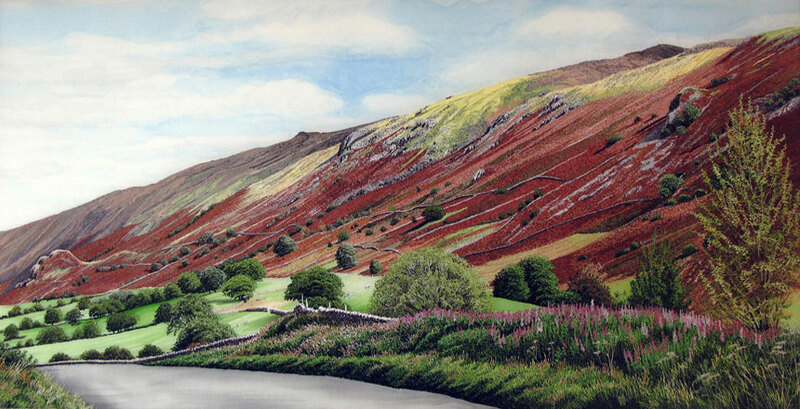 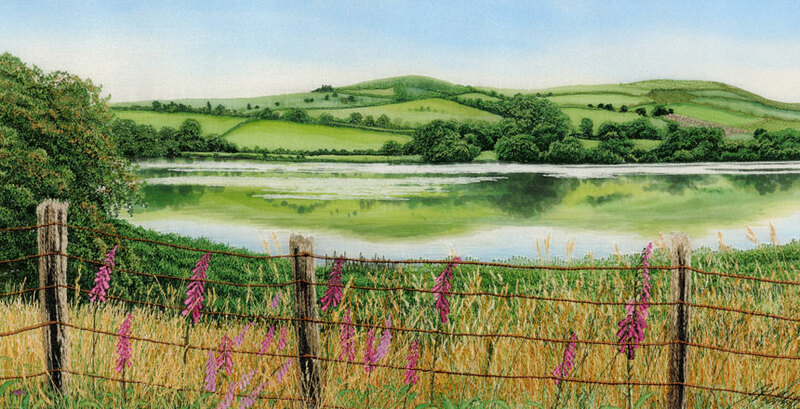 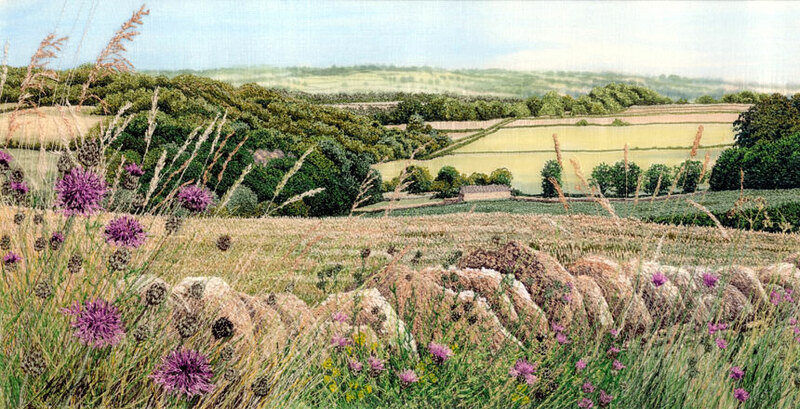 Using a basic Bernina sewing machine and just 2 stitches, straight stitch and zig-zag I make embroidered pictures of landscapes, seascapes, flowers and garden scenes, influenced by the Shropshire Wales border near Oswestry where I live and by my travels. 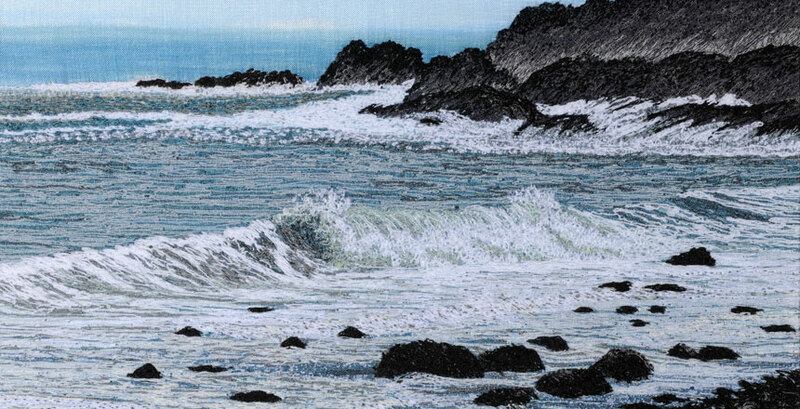 Alongside the 5 books on my style of threadpainting and an educational DVD, Creative Machine Embroidery, I offer a range of textile courses, workshops, demonstrations and lectures in the UK and abroad. 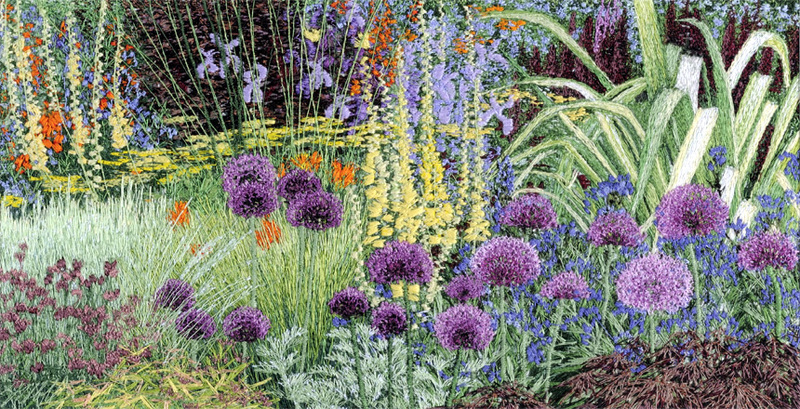 I work to commission and have experience of exhibiting regularly at the Chelsea Flower Show and other venues in the UK, France and Australia.